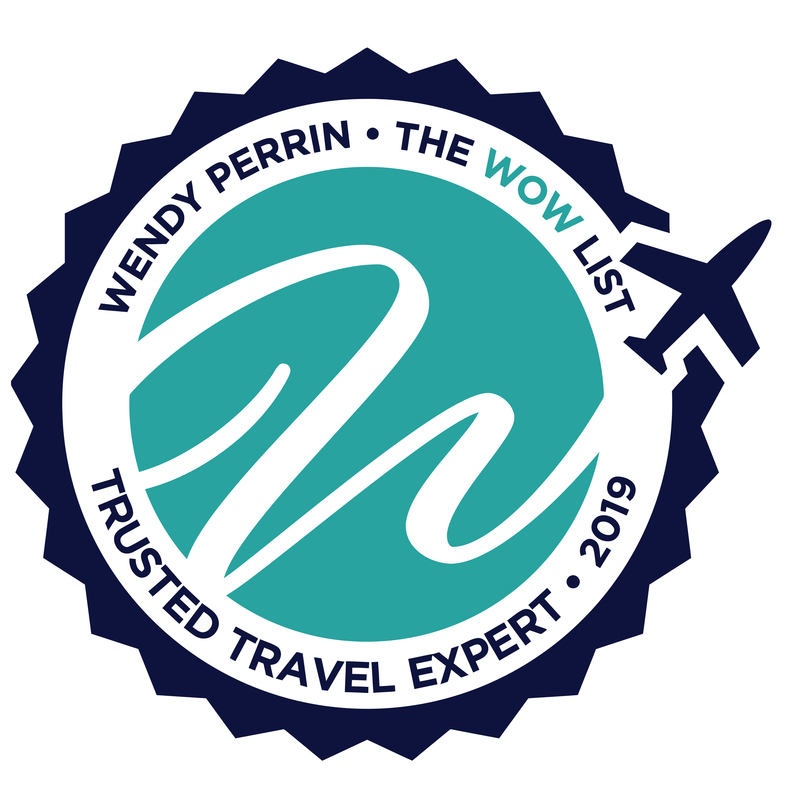 Leigh Landis is on Wendy’s WOW List of Trusted Travel Experts for her expertise and connections in Norway, Sweden, Finland, and Denmark. The reviews below are from real travelers who’ve taken trips that were arranged by Leigh and monitored by Wendy. I contacted Leigh Landis to help with a trip to the Ice Hotel in Sweden, and several days in Stockholm. Leigh arranged all of the details of our stay, including airport transfers, hotel rooms and walking tours. She was responsive, listened to my requests and advised me about selections for our itinerary. I appreciated how clear and detailed the final travel documents were that Leigh produced. We enjoyed the restaurants in Stockholm she recommended, especially the dinner reservation on Valentine’s Day that she secured for us, after I had no luck trying to book something on my own. Leigh Landis did an excellent job coordinating our family trip to Copenhagen and Stockholm. There were many moving parts…people arriving at different times and staying in different venues. She helped pull it all together and arranged fantastic guides for a variety of activities…a canal cruise, bike tour, walking tour and castle/museum visits. Leading up to the trip Leigh provided a wealth of knowledge about local customs, popular restaurants, and unique neighborhood haunts. Her on-site team in Copenhagen were amazing. The drivers and guides were punctual, incredibly knowledgeable, helpful and fun. We left with a breadth of information about the history and culture of both Copenhagen and Stockholm and an appreciation and admiration of the people. Her recommendations for our “leisure time” were most helpful as well. It was obvious that Leigh was very familiar with Copenhagen/Stockholm and had a great sense of the types of activities that would work for our family of five: two parents and three 20-something kids. Her co-worker, Jody, who pitched in at the end (Leigh had a pre-planned trip) was also a great resource and helped with a few last minute logistics. Our ultimate itinerary was beautiful and filled with excellent recommendations and resources. I would not have been able to coordinate/customize our plans without Leigh’s assistance. I would definitely recommend her. Because of working with Leigh, our trip was wonderful. Leigh has been an absolute pleasure to work with. The initial travel agents I contacted (all of whom I found on my own) were worthless – all tried to fit us into a pre-designed itinerary and we just don’t fit that. I’m not “group friendly” – I’m a photographer and if I want to stop and photograph something, and the rest of the group is moving on – that’s going to be a problem. So, custom itineraries work the best for us. Leigh listened carefully and designed a 3-week trip through Sweden, Norway, and Denmark that was just wonderful. Throughout the process, communications with her were excellent – she patiently answered all of my questions and addressed my concerns, even the stupid ones. Her hotel recommendations were the best – every hotel was lovely and within an easy walk to all the major attractions. She organized guides in two locations and they were wonderful – we saw and learned things we wouldn’t have on our own. Leigh’s company also has either offices or contractors in every country we visited, so if we had a question while on the trip, there was someone in our time zone who took care of the issue immediately. All in all, because of working with Leigh, our trip was wonderful – a memory we’ll cherish forever. I would not hesitate to recommend her to anyone wanting a real professional who will design a trip that is exactly right for the things they want to see and do and who takes care of all the details. For example, before leaving, we received a package from Leigh that contained a bound and highly descriptive itinerary, our tickets and vouchers and, as an unexpected surprise, a Garmin GPS unit pre-programmed with all of the destinations we drove to – that’s above and beyond service. Everyone who goes to Scandinavia goes to Stockholm, Oslo, the Fjord region, Copenhagen, etc. and we went there and those places were terrific. However, one of the highlights of the trip was a place I’d never heard of: Edshultshall Sweden. In fact, no one in Sweden that we spoke to heard of it. It’s on the western side of Sweden, right on the coast of the Swedish Archipelago. Leigh recommended a funky 4 room B&B, right on the sea that was fantastic, but again, a place no one had ever heard of. I’m a photographer, and 2 of my favorite photos and memories were taken right from the back of the B&B. If given all the time in the world to plan a trip, I never would have found Edshultshall. I doubt it’s in any guidebook. It was these kinds of recommendations that made the trip special and unforgettable. I can’t thank you enough for recommending Leigh. Overall we had a great time on our trip to Scandinavia. The Guides and Drivers were all knowledgeable and enthusiastic in wanting to share their city/country with us. All of our airport pickups were there waiting for us and those dropping off were helpful in directing us to where we needed to go. STOCKHOLM: We arrived around 12:30 from NY, dropped off our bags at the hotel, and immediately hopped in a cab to take us to Hudiksvallsgatan to visit a collection of galleries. We were told they closed at 4:00 and were not open Sunday and Monday, and we were leaving Tues. When we arrived in Huudiksvallsgatan, we were surprised to find it was in a very industrialized area with absolutely no foot or car traffic. The one or two galleries we saw from the street appeared closed and we were not about to leave the car. There would have been no way we were going to be able to get a cab to take us back to the hotel. I asked Leigh if she was familiar with the area and she said she was not—she had never been there. The Grand Canal Cruise and the visit to Artipelag was quite enjoyable. We met our guide Irene in the lobby on a rainy, blustery day but it was fine since we were prepared with rain jackets, boots, and sturdy umbrellas. We walked to (or were blown to) Gamla Stan to the Royal Armoury which was CLOSED. Check ahead of time? As it became more precarious to walk on the slippery stones we spotted two cabs parked in the open plaza and we suggested we take one. Irene said they were probably taken and waiting for someone and continued to walk on. We went over and found one was free and piled in. Irene directed the driver to take us to the ferry but we suggested he take us directly to Djurgarden because of the bad weather. A guide should take charge and be able to adapt to changing conditions. But Irene was wonderful as a guide at the Vasa Museum. OSLO: The Astrup-Fearnley Museum with the Renzo Piano design was fabulous and we thoroughly enjoyed the Tjuvholmen art galleries. Our guide Anna was excellent and gave us quite an insight into Danish mentality as well as being quite a historian. We first went to City Hall which was CLOSED – we were disappointed in not being able to view the largest oil painting in Europe and location of the Nobel Peace Prize ceremony. Vigeland was spectacular! We also enjoyed the Munch Museum very much. BALESTRAND: The morning of our stay here was a major lack of communication! Our itinerary read as follows: “This morning at 9:00am depart on a 2.5 hour journey. Travel up the fjord, past steep mountains as you come close to the fjord shores. View cascading waterfalls, and lush green farmlands.” First, we didn’t know who we were meeting nor where. We thought we were on a private tour on a comfortable boat. We were on a RIB boat with full gear. I really questioned Leigh’s decision to book us on this type of excursion after I had specifically told her we were not an outdoorsy family… not backpackers or hikers … we enjoyed more comfortable sightseeing. Lars our boat guide was great though. Of course, the Fjords were fabulous and the Kviknes in a beautiful location. BERGEN: Martin, our guide here, was excellent. We had an in depth look at Old Bryggen and it was fascinating. COPENHAGEN: Pia, our guide here, was a delight… cheerful, enthusiastic and knowledgeable. On the day we had a driver Luis for the day, we drove to the Louisiana Museum which we all agreed may be a favorite of all of the museums we visited. Wonderful to see sculptures able to design for specific space – and what an incredible space. Spending the day with Luis was so enjoyable … such an excellent driver and knew so much about contemporary and historical Denmark. Outstanding trip. Every detail taken care. Handled delayed flight needs perfectly. Hotel choice guides tours all amazing. Nothing but Positive experience with Leigh Landis. We never would have found any of these places on our own. I needed to plan a rather last minute vacation-about 45 days prior-so I needed arrangements quickly. I like traveling a bit off the beaten path and Leigh was able to do that. We went to Sweden, Stockholm, the western coast and it was a road trip. July 2017. We loved all the little Inns, B&Bs, and villages that Leigh sent us to. She gave us a pre-programmed GPS in English and it worked perfectly. We never would have found any of these places on our own. Leigh helped us out with guides and restaurant suggestions in Stockholm and Copenhagen pre and post a National Geographic Cruise in the Baltic for a group of 8 adults. Her restaurant suggestions in both cities were excellent. She organized guided tours in both cities and both guides were excellent. The guide in Copenhagen was outstanding, a lot of fun, very knowledgeable. We wanted to cover a lot of ground in a short time and he accommodated that, as well as working longer than the agreed time. In 2014 we attempted to plan a customized trip to Norway with a travel consultant unaffiliated with Wendy’s List. We felt as if the consultant mainly wanted to plug us into a pretty predictable itinerary, and she couldn’t seem to understand our desire to visit the Lofoten Islands. We ultimately abandoned the plan. Two years later, through Wendy, we contacted Leigh and found her to be someone who really listened to us. Despite having given Leigh only a couple of months’ lead-time, she patiently and pleasantly worked and reworked the itinerary with us until we had what we wanted. And she included the Lofotens, which were definitely a highlight of our trip! In retrospect, we wish we could have spent more time there. We would probably have benefited from a bit more editing of our very ambitious itinerary, but we do understand that Leigh was trying to accommodate our “want to see/do” list. Our 16-day trip in May 2016 from Oslo to the Lofotens to Bergen, involved two in country flights, two separate car rentals, a number of ferries, and several nights on a Hurtigruten ship. Leigh expertly managed and coordinated these complex arrangements and schedules. Her hotel recommendations were almost all excellent – great locations, good service, and a lot of charm and appeal. Only one was a disappointment, though we understand that Leigh’s first choice was unavailable due to our short planning time. We ran into a small glitch when several hotels did not seem to know that we had prepaid. However, Leigh has a local counterpart in Oslo that we were able to contact, and she straightened things out expeditiously. In terms of more unique restaurants and out-of-the- ordinary sights/activities, we wish we had asked Leigh for greater guidance, especially outside the cities. However, we did enjoy the guides that she arranged for our private half-day tours in Bergen and Oslo. They were knowledgeable and engaging. All in all, we enjoyed our Norway trip very much. Leigh was easy to work with, prompt in returning our phone calls, and good about answering our many questions. These are important qualities in a travel expert and we really appreciated them. Leigh’s service, from the planning stages to the return airport transfer, was attentive and professional. An in depth knowledge of Copenhagen, very accommodating to last minute changes and worked hard to fit the plan within a budget. The recommended guides were helpful and always went out of their way. Overall a great trip. Highly recommend.